While most of us in America were making choices yesterday or waiting with bated breath to see how those choices were going to pan out some people were making different choices; singular, personal ones that changed their immediate landscape completely. A number of years ago in a state far away from where she is now Our Julie was a single girl with a black lab named Sidney. 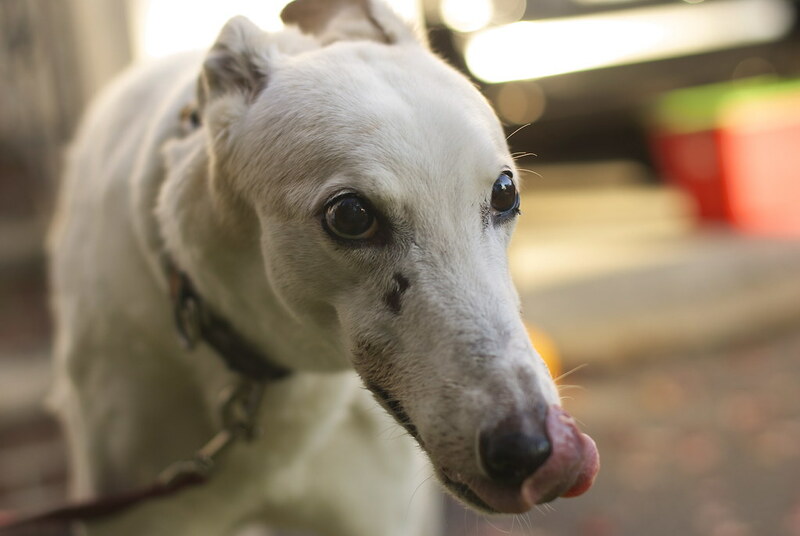 After careful thought she decided she needed another dog and she chose a retired racing greyhound named Tali. Tali lounged and sunbathed through a few moves, a wedding, and the arrival of a kid with grace and dignity (usually). Yesterday, though, our applied math genius realized that the sums were adding up differently and the balance and tipped for her old boy. Tali took off for the great rabbit hunt in the sky yesterday afternoon. His family celebrated with tear-soaked frozen yogurt and he is dearly missed. Godspeed you big rascal, emphasis on the speed. Treats for everyone, you guys, even our most shameful beloved. You KNOW that one brought tears to my eyes. Godspeed, Tali. I HATE having to give them back.